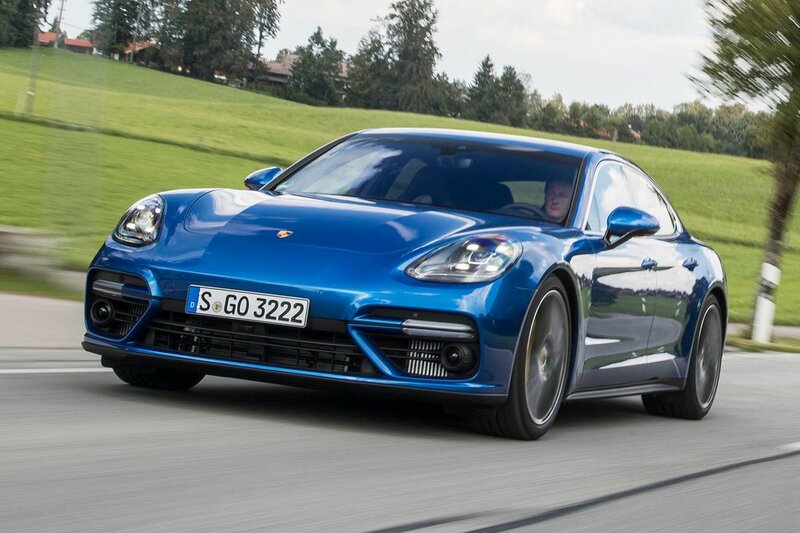 Porsche Panamera Performance, Engine, Ride, Handling | What Car? Enthusiasts will adore the performance and the deliciously rev-happy nature of the 2.9-litre V6 petrol in the 4S. Those that prefer a more effortless turn of speed however, should look at the 4S Diesel: its prodigious mid-range shove is truly something to behold. Then there are the Turbo models, for those seeking the ultimate thrills. The standard Turbo’s 542bhp means it’s more than capable of embarrassing some supercars, but if that’s not enough bragging rights, there’s the range-topping Turbo S E-Hybrid. Now, we’re used to hybrid technology being deployed to deliver better efficiency, but here Porsche’s using a 134bhp electric motor to boost performance, too. So coupled with the Turbo’s 4.0-litre twin-turbo V8, 0-62mph takes just 3.4sec, and the top speed is a whopping 193mph. Two other engines are available: the entry-level 3.0-litre petrol and the 4 E-Hybrid model. We’re yet to drive either, but will keep you updated as and when we have. Be in no doubt then, that with just a flex of your right foot all the engines are capable of flinging you up the road at great speed. 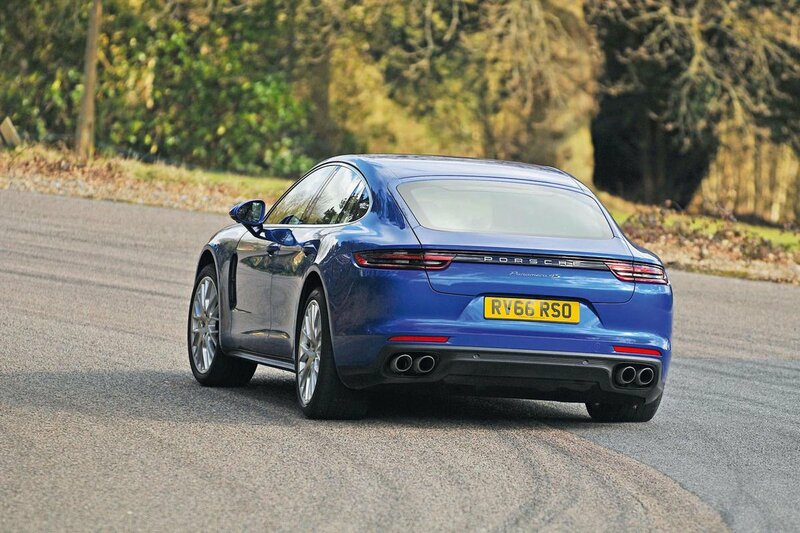 Yet there is something about the way the Panamera is so isolating that you barley realise how fast you’re going; until of course, you glance down at the speedo. An eight-speed dual-clutch automatic is standard in all but the 4 E-Hybrid. It proves smooth under normal use, yet capable of rapid shifts and instant response when in its sportier modes. Only some jerkiness around town lets it down. The least powerful 3.0-litre petrol comes with two-wheel drive and the option of four-wheel drive; from the 4S onwards the latter is standard, ensuring that the power reaches the road effectively, even in the trickiest conditions. An optional four-wheel steering system improves low-speed manoeuvrability, agility in fast corners and high-speed stability. 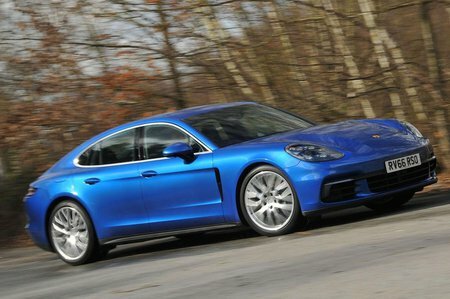 It’s very good, but even without it the Panamera is supremely nimble considering its size. The accurate, beautifully weighted steering helps, delivering precise control and making the Panamera utterly confidence inspiring, and more rewarding to drive than any of its direct rivals. For the best handling go for the 4S; having a lighter-weight V6 engine up front means it changes direction with more aplomb than the heavier lump in the 4S Diesel. It’s a similar story with the Turbo S 4 E-Hybrid, thanks to its heavy battery pack. So far we’ve only tried the Panamera on optional air suspension – mechanical springs and adaptive dampers are standard – and the ride is firm but incredibly well controlled across heavily undulating roads. On really patchy surfaces the 4S Diesel is more jarring than the lighter 4S and Turbo models, but ultimately if you prefer a soft ride over tight handling, an S-Class Coupé or Bentley Continental GT might suit you better.